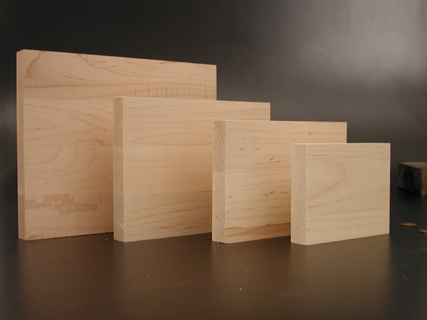 Wood cut blocks for printmaking are letter press thickness .918" thick and made of soft maple for artist to make woodcuts and printmaking printing. Maple printing blocks are letter press height and sanded smooth both sides to an type high .918 inch thickness. Print can be made by hand or in a printing press. Custom size wood cutting blocks are available upon request. Any size print can be archivally mounted and hung without framing by using Art Boards™ Archival Mounting Panels. Mounting Panels can be made in any size. Art Boards™ also does custom archival mounting of digital prints, drawings, and paintings, on a variety of surfaces.